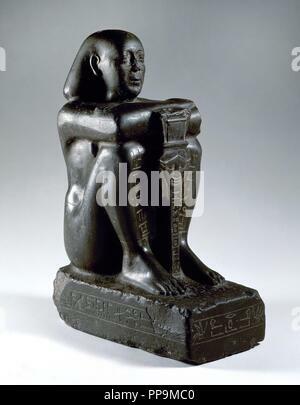 Block statue of Harsomtusemhat (664-610 B.C.) 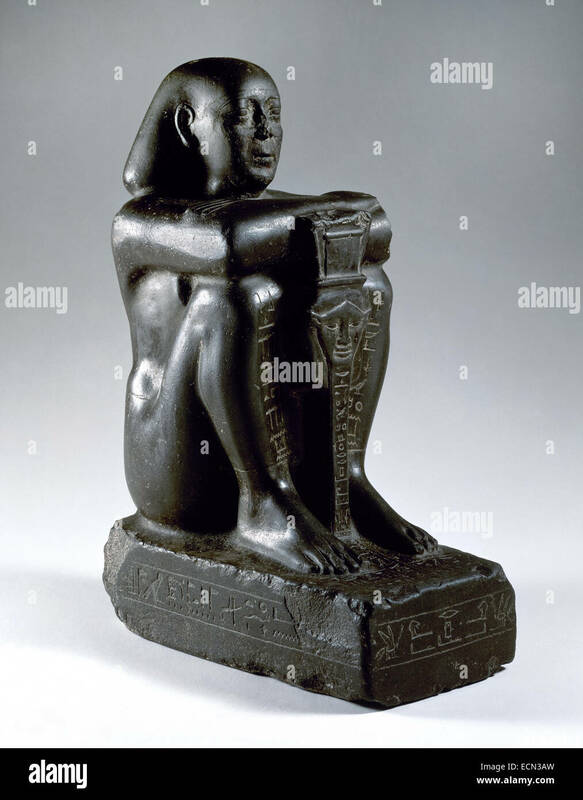 sitting on a socle, with his legs grouped and the hands on his knees. 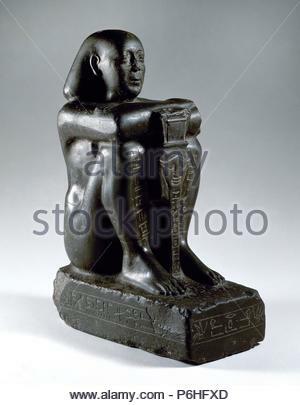 He is holding the sesheshet sistrum, with the face of the goddess Hathor. Basalt. 26th Dynasty. Lower Egypt. Archaeological Museum. Madrid. Spain.